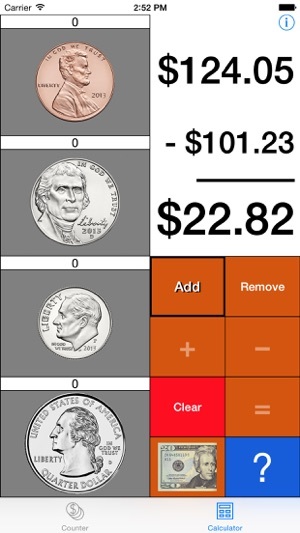 The Visual Currency Calculator is an easy to use app for counting money. It has two different modes - one for simply adding up the money you have, another for adding and subtracting groups of coins and bills. 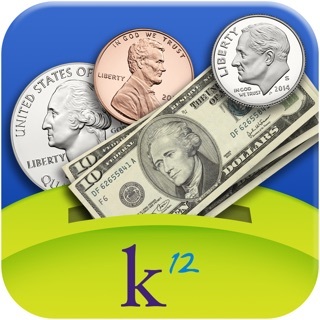 This app is great for anyone from children learning to count currency to adults who just want an easy way of tracking the change in their pocket. Visual Currency Calculator has an intuitive interface with a built in tutorial, making it easy to pick up and use! 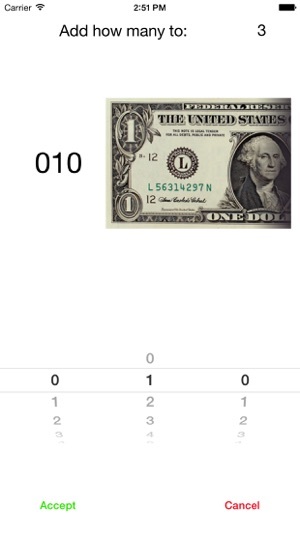 Visual Currency Calculator has been updated for iOS 7 & 8! More great updates coming soon! This is the best app I never knew I needed. It is handy when you need to tally large amounts of change without worrying about making counting errors. This would also be a great app for kids learning to count money or international travelers who are unfamiliar with US currency. It is simple, intuitive, and very useful. 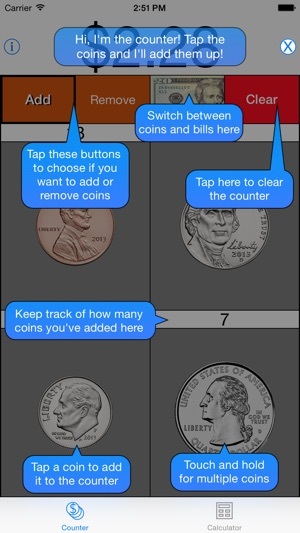 This is a handy, easy to use app for counting up loose change or a box of coins. I never was great with math and this app solves that problem by making the task easy, accurate, and fun. 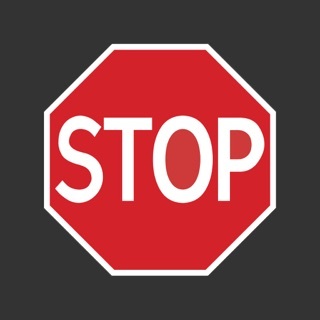 My wife is an elementary school teacher and she says it is instructive for young students. So simple to use and very helpful! 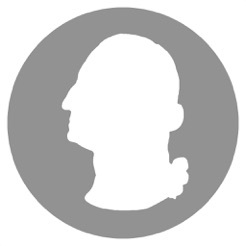 This app is very simple to use and very helpful! I frequently have random change in my pocket. 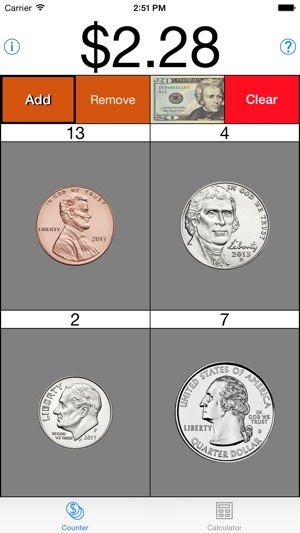 This app helps me quickly count it! My son also likes to use it!